Rarely do new designs in tent architecture come along that both provide innovation and improvements to what’s currently available. The Tensegrity 2 Elite is here to break the trend. It’s weird, it’s unusual, and it’s great. 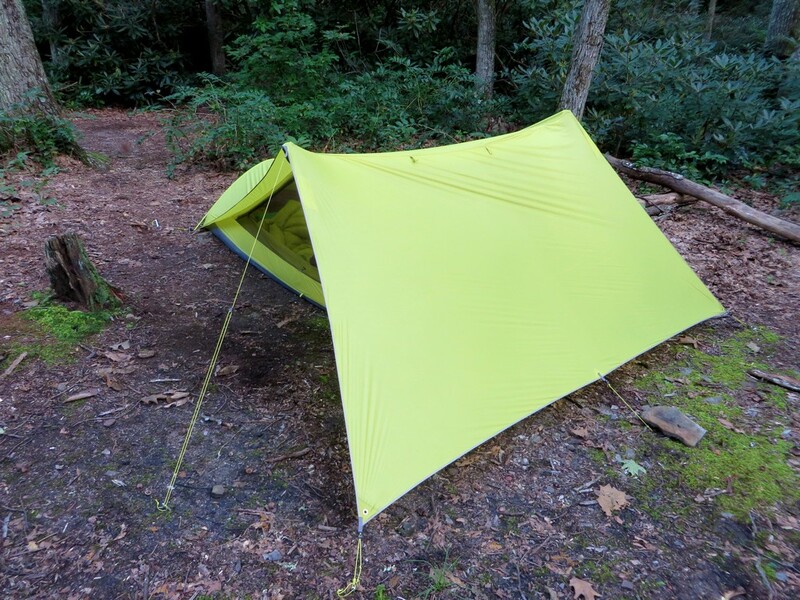 The Tensegrity 2 Elite is built from a lightweight silicone/silicone 20D ripstop nylon. This is both lighter and stronger than the more traditional silicone/polyurethane nylons that dominate the ultra light market right now (the FL model is silicone/polyurethane coated instead). This allows the tent to both shed weight, and increase strength. Further adding to the durability and stability of the shelter is the unique angled trekking pole design. The poles angle out from the already spacious 50 ” wide floor, creating an even larger head space above for more elbow room. This also creates a tension in the walls that improves wind stability, as the poles are now leaning into the wind. Large drop doors unzip completely and allow crawl free entry from the sides, and a third door accesses the tarp-like gear storage vestibule on the front, which is also exceptionally large at 10.8 square feet. 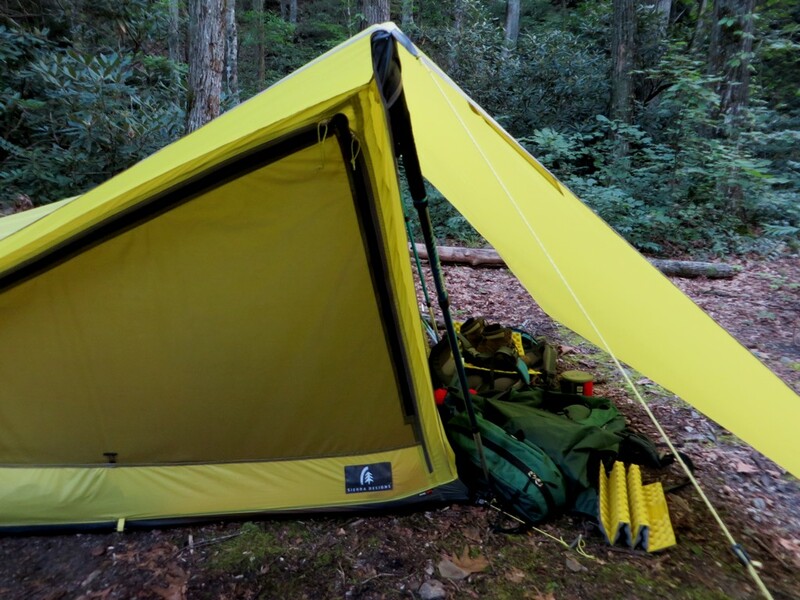 This tarp section can be rolled back in nice weather, providing even better visibility and ventilation, or propped up with trekking poles to create a porch. Small awnings stand above the beyond vertical doors, which allow the protective barriers to be unzipped during a storm, revealing large breezy windows for rain watching. The entire kit, minus the trekking poles, weighs just 2 lb 10 oz (packed weight, elite model) and retails for $489. Livability with the Tensegrity 2 is fantastic. The beyond vertical walls, abnormally wide floor, and generously long floor plan provides ample shoulder and elbow room, saving marriages and bromances alike. I always had plenty of room to sprawl out during foul weather and roll about on sleepless nights without bumping into my companion. While inside, I always felt like I was living in a tiny palace instead of surviving in a plastic box. Moving in and out of the shelter proved to be some of the easiest I’ve ever experienced, due to the long drop doors that nearly matched the length of my body. I could simply swing my legs out, lace up and roll out. 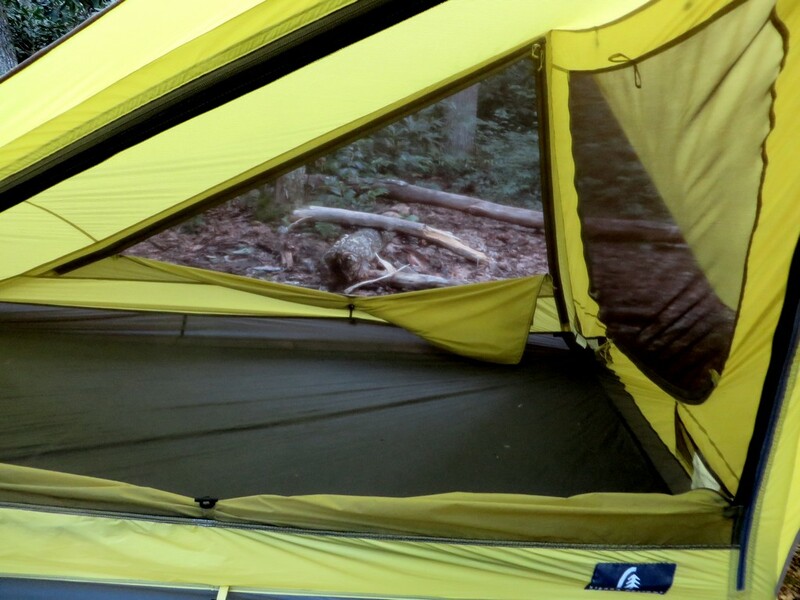 Accessing gear from inside is as simple as unzipping the third door, located just above the head of the tent. Reaching for gear during rainstorms provided easy access, while not getting in the way of my entry or exit when I was ready to leave. The large windows can be left open during most rain storms (always at least one door can be left open, even with sideways rain depending on the direction, and usually both) which infinitely enhances my enjoy-ability of being inside the tent during a storm. The large interior space and minuscule pack weight makes for an incredible space to weight ratio, only improving once you consider the large gear storage area. The packed weight of 2 lbs 10 oz and tiny packed size (it didn’t even fill its own stuff sack) made for very enjoyable hiking even over rough terrain, thanks to not having to push through with excessive weight-bearing down on me. Storm stability and weather protection were both exceptional. The angled poles create a taut pitch that doesn’t waver in the wind. 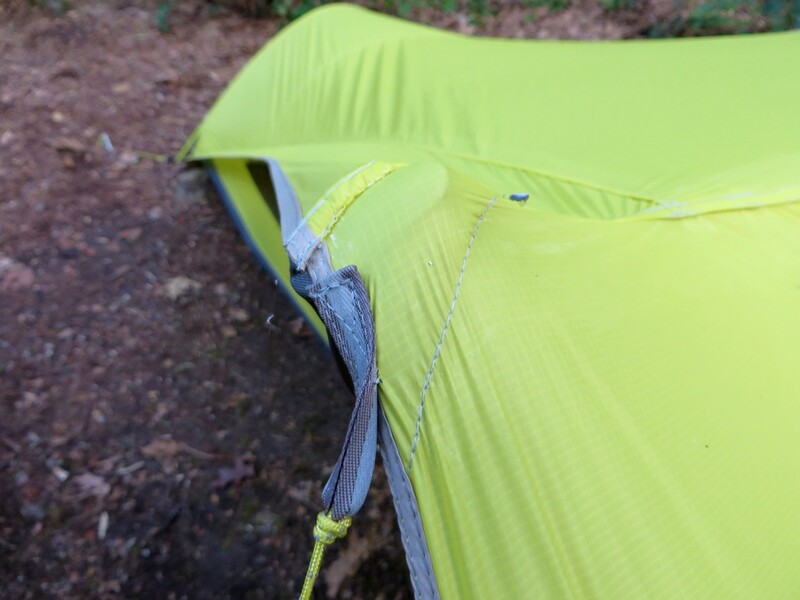 Absolute rigidness from the durability of thick trekking poles combined with clever geometry and an aerodynamic design makes for the most stable tarp/trekking pole tent I’ve ever tested. When being hit from the side, the angled poles resist even the strongest winds, refusing to give way. After seam sealing, the tent provided leak free sanctuary in long rain storms, while the large gear vestibule kept me gear close and dry. Pitching is very easy, and provides far less stakes than most tents of the type. Simply stake out the four corners, loosely tack out the vestibule, insert the poles, fine tune the front, and slide in/stake out the back pole and it’s finished. A grand total of 7 stakes (9 with guy lines). I’m not a fan of how the guy line is sewn in here, but so far it’s held fine. Ventilation is phenomenal. Two large doors that can be left open in most situations, and a large door at the head of the tent create a blow through design. 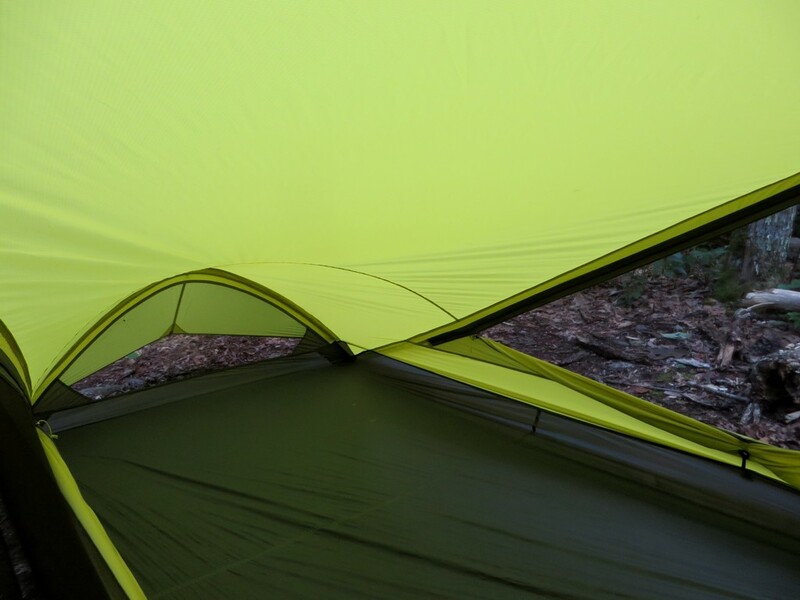 Paired with the large ventilated foot creates one of the best ventilated shelters I’ve ever tested. Condensation was always minimal, even when camping in the clouds and rain at over 6,600 feet in highly humid conditions. I was impressed, a rarity. The large vestibule can be combined with a second set of trekking poles to provide a large porch, great for light rain or harsh sun as it creates a front porch for hanging out and cooking. An added bonus is it makes for a floor free doggy barn. The elite model requires seam sealing from the user to complete the seal. It’s straight forward and pretty simple, but takes an hour or two. Be careful to choose a compatible sealant if you do it yourself, as they’re not all made for sil/sil nylon. The FL model is seam sealed from the factory.I actually enjoyed the process, but some may not have the time or confidence. You can do it! I wish it came with one additional tent stake as it’s one short from being able to stake out the middle vestibule point (not needed, but I liked it staked out for added steadfastness in the wind). The breezy design can be chilly in below freezing conditions. 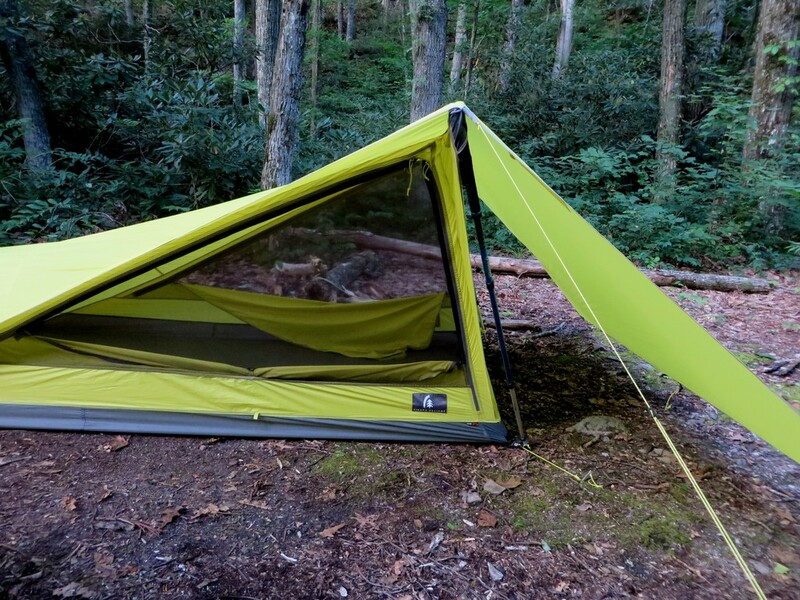 The Tensegrity 2 Elite is a tent unlike any other that I’ve tested. It’s interiors are cavernous, it’s pack weight minuscule, and livability is so great that I actually want to be in the woods when the weather turns bad. The large windows provide an open and free feel that dramatically improves long hours spent hiding from storms. The stability of the design and the usage of only the highest quality of materials creates an ultralight fortress, providing solid weather protection that is unprecedented in its weight class, resisting winds and rain without so much as a flutter. Impressive ventilation and condensation control allows the tent to be usable even in the wettest of conditions. Easy and unobstructed entry and exit with quick access to all my gear only sweetens the deal. 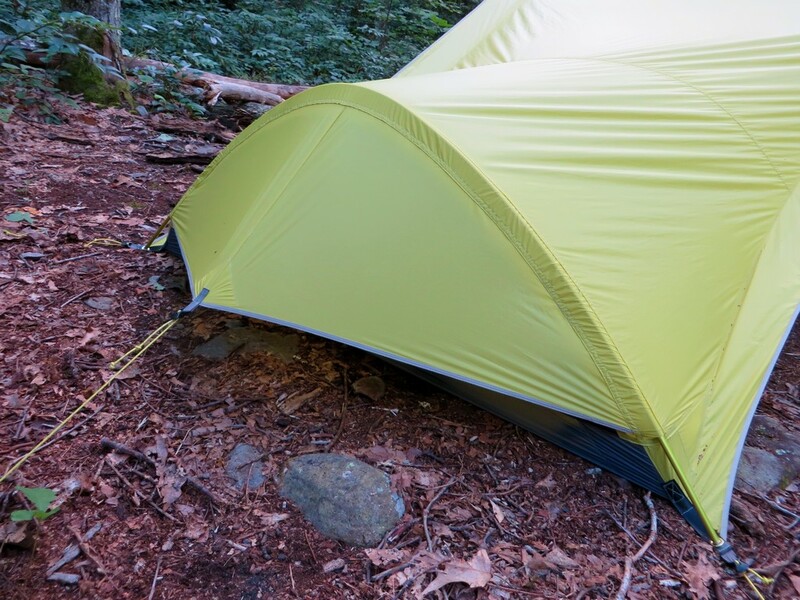 The Tensegrity 2 elite is simply one of the best tents I’ve ever tested. For more information on Sierra Designs and their stuff, check out their website. For information on our rating system and our testing procedures, check out our About us/ Contact us page. I want to extend a big thanks to Sierra Designs for their continued support and for providing us this exceptional tent for review. Our full disclosure can be found here. Thanks for reading! I certainly appreciate your perceptiveness. While they’re not required for general pitching, using the tent this way is quite common, if not represented in their product videos. They actually used this same style pitch, with the guy lines and such, in their wind tunnel tests. They’re available on the product page. It adds stability, and makes a huge difference in a storm. I wouldn’t camp without them. It sits odd because it’s designed to be used at multiple angles. I’m always picking on companies for shaving weight on tent stakes and guy lines. You’re right, I would probably pitch it the same in stormy nights. I’m using the MSR Ground Hog Minis and always take 12 with me on trips, so that would be no problem. But I never came in a situation to pitch the guy lines when the tarp is pitched to the ground. I really like your opinion on going light, but don’t mess up the sleeping comfort. Thanks Dan! I’m always happy to receive some criticism. It keeps me on my toes. There is always more to learn. MSR makes some amazing stakes. They’ve held in conditions that have blown my mind. They really are the most important part of any tent. Thanks for reading. I’ve worked hard the last few years, and I’m very happy someone was able to appreciate it. If I can be of any help, don’t hesitate to ask! I’m just looking for a new sleeping bag. A second opinion would be nice. I hate to stuggle with those zippers on mummy bags, but I need a bad down to 0°C. It shouldn’t be too heavy and the pack size should be as small as possible … Any tips? That’s a solid question. I’m a huge fan of quilts. I’ve not tried the Tango Solo, but I really Nemo’s other bags, so I imagine it’s a good bet. I do have experience with the Siren Quilt, and I love it. I’ve used it down to just below 0 degrees C, and I’ve stayed toasty warm, when tied down to my pad. It’s very light weight, and feels great against the skin too. I can only imagine the Tango is of similar quality, as it’s basically the same materials. Yeah, I’ve already read your reviews on the backcountry bed, and quilts from Nemo and SD. I like to sleep in a mummy bag. That’s the reason why the backcountry beds are on my list. Do you have photos from the Backcountry Bed and the Siren packed in relation to smth known, maybe a nalgene bottle? I don’t have photos of them, but I’ll try to get some for you. The quilt packs up tiny, about 10 x 10, and the bed is about 15 x 15 (3 season men’s). The backcountry bed will certainly be more comfortable, if that’s your priority. The quilt is short in length, and quite minimalistic.